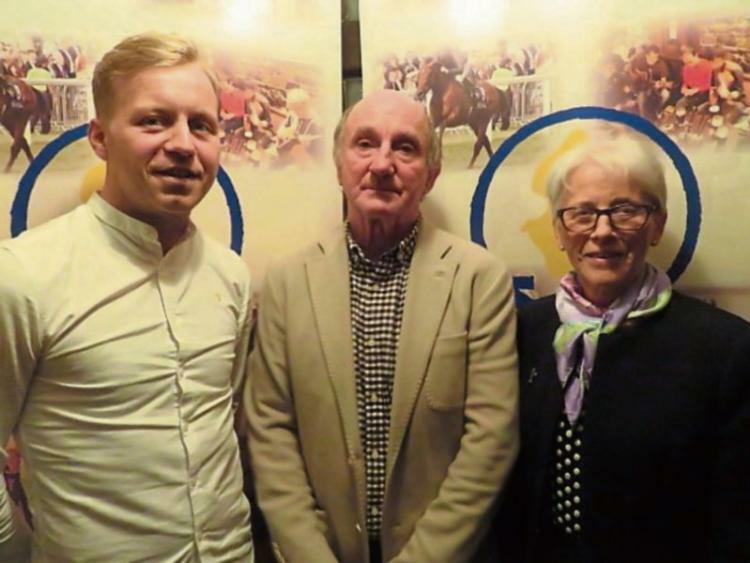 Irish Paralympian, Peter Ryan of Upperchurch has been chosen as Tipperary Person of the Year for 2018 by the Tipperary Association Dublin. Sister Eileen Fahey of Aiseiri, Cahir will be inducted in the Association’s Hall of Fame for her lifelong service and devotion to people with alcohol addiction. The awards will be presented at a function in the Louis Fitzgerald Hotel, Dublin on Friday March 29. Liam Myles, President of the Tipperary Association Dublin, stated that Peter Ryan is a truly inspirational person with, as his nomination states “a unique ability to turn disability into ability, potential into powerful achievements and a negative into a positive”. He has illustrated resilience and dogged determination to overcome the challenges that life put in his way with a mindset of “can do” that has propelled him to the highest level in Paralympian athleticism. Growing up in Upperchurch, Peter seemed to be fulfilling his ambitions when he was selected for the Tipperary minor hurling team in 2008. Unfortunately, just before his 20th birthday he suffered a cruel blow when he was diagnosed with Leber’s Hereditary Optic Neuropathy, a rare genetic condition, which struck without warning. His vision was reduced by 80 per cent – most of that peripheral. Until that point, he lived a normal perfect life with a balance of work, sport and social activities – like most 20 year olds. The loss of work and sport because of his condition left him over dependent on his social activities so much so that he hit a very low point in his life. He ended up in a “dark place” but he had the strength to recognise that he needed to change his ways before it was too late. With the help of family, friends and a stint in Aiseiri, Cahir in 2012 he mastered his demons and turned his life around for the better. That year a chance visit to UCD for a Paralympian Open Day led to a new direction in his life when, after a test, he showed special aptitude for cycling. He went on to take up tandem cycling and became an almost instant success. He later teamed up as stoker on the tandem with Sean Hahessy of Carrick Wheelers as the pilot. His achievements include National titles and he was selected to represent Ireland at International level. He achieved 8th place in the World championships in 2015 in the 4 Kilometre pursuit and represented Ireland at the Paralympics in Rio in 2016. Peter is currently in training for the Tokyo Paralympics in 2020. 2018 was a special year in the life of Peter Ryan. Firstly, he and Sean created the record of being the first ever tandem to complete the Race Around Ireland – a gruelling 2157 Km. cycle race the full circuit of the country. They completed the race in 122 hours and 33 minutes – well under the 132 hours allowed. Secondly, he was the first legally blind person to complete the race. Peter used his participation to raise funds for two deserving causes in local communities. Despite little publicity, he raised more than €90,000 – well above his target of €50,000 – for two children affected by serious illnesses. Sister Eileen Fahey, a native of Bansha, was announced as the Hall of Fame winner in recognition of her lifetime contribution to addiction treatment. She gained national prominence many years ago when she founded Aiseiri in Cahir. In the early 1980s, through her work in addiction, she discovered that a serious vacuum existed in community addiction treatment services. Her response was to develop a residential treatment facility, which she called Aiseiri. Sister Eileen showed strong and dynamic leadership from the very beginning and in a very short time her Aiseiri project was recognised, not just in Ireland but internationally, as one of the most professional and effective addiction treatment models. She was Director for 30 years as new centres opened in Wexford, Waterford, and Kilkenny. Since 1983, more than 6,000 people and their families have availed of its services with over 60% managing to turn their lives around. Initiatives undertaken by Aiseiri include the setting up the first Therapeutic, Drug-free, Addiction Training in Ireland. She had the energy and the tenacity to persuade people and institutions to support her cause. The Sisters of Mercy backed Sr. Eileen, public fundraising raised significant moneys and later the Health Board provided support. She follows in the great tradition of religious people and congregations who provided Education, Health Care and Social Services in Ireland and further afield. Sister Eileen decided a few years ago to retire as Director of Aiseiri and she passed on the baton to a Chief Executive Officer. As the founder of Aiseiri this too took great vision, courage and no little wisdom. However, Sister Eileen continues to serve the community -for example, she is the local organiser and facilitator of the Cahir branch of Grow – a support group for people coping with mental health issues. For her lifelong commitment and leadership role in the great, continuing work of Aiseiri Sister Eileen Fahey is a worthy winner of The Tipperary Association Dublin Hall of Fame Award . Support your team - All proceeds go towards the preparation of the Tipperary Senior Hurling team. Win a chance to be the Tipp Team mascot for a National Hurling League match at Semple Stadium, and more.